Welcome to Shower Seals Direct. ShowerSealsDirect is a dedicated on-line shop offering a superior range of quality bath and shower seals, at very attractive prices and with a fast turn around to the UK and Europe. Our Shower Seals and Bath Seals have been supplied to thousands of satisfied customers in the UK and Europe for over 14 years. Our innovative range of seals are recognised by leading manufactures and trade suppliers alike as solutions to common problems arising in bathrooms and wet rooms across the country. 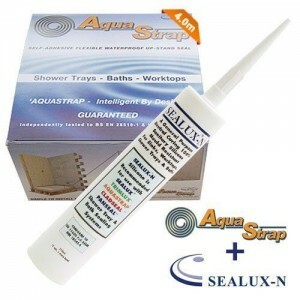 We offer a range of Shower and Bath Seal kits that come complete with everything you need, ensuring a watertight seal around your bath or shower tray. We include full and comprehensive instructions with every Shower and Bath Seal Kit sold, installation videos and brochures can also be found on this site. 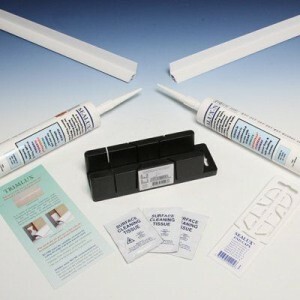 We specialise in Trimlux , Sealux , AquaStrap and Cladseal Kits and Trade Packs. 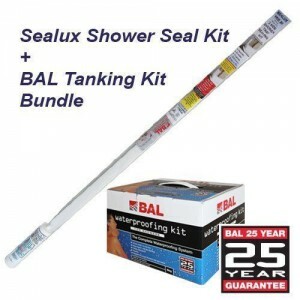 Our Bath and Shower Seal products are the choice of the professional installer and the DIY person. 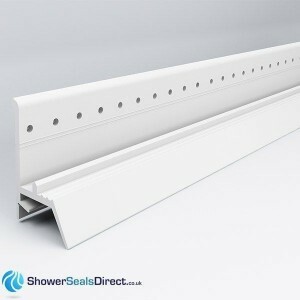 You can email or call ShowerSealsDirect with any of your queries and comments. If you are looking to tank your walls and use an award winning sealing system then this is the solution tailor made for you. 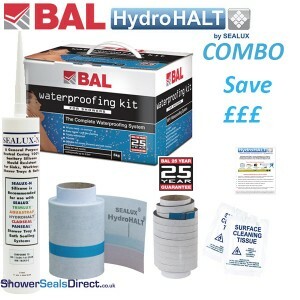 BAL'S Waterproofing Kit and Sealux'S HydroHalt PlumBud kit are a perfect match. We apologise for this delay in dispatches, all orders received after 6pm Thursday 10th January will be dispatched untl Tuesday 15th January, Normal shipping schedule resumes on Tuesday 15 Jan.